Everyone’s favorite vengeful Blood Elf mage, Kael’thas Sunstrider made his way into the Nexus a few months back. I’ve had a chance to play him several times in ranked, but honestly, I’m not super comfortable with his play style. I’m more of a Jaina kind of gal (awwwwkward). 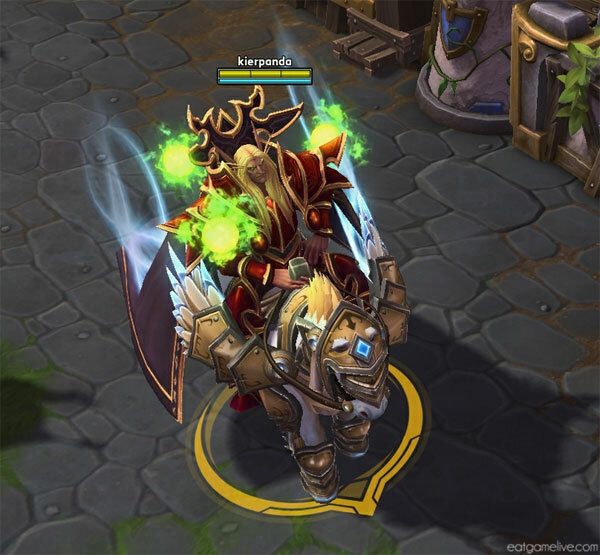 However, Kael’thas is still a super fun hero to play! I mean, c’mon, FREE living bombs?! YOU GET A LIVING BOMB. AND YOU GET A LIVING BOMB. EVERYONE GETS A LIVING BOMB! And it’s all thanks to those magical Verdant Spheres. Those Verdant Spheres are his signature accessory. A powerful fashion statement only worn by most haute blood mages! 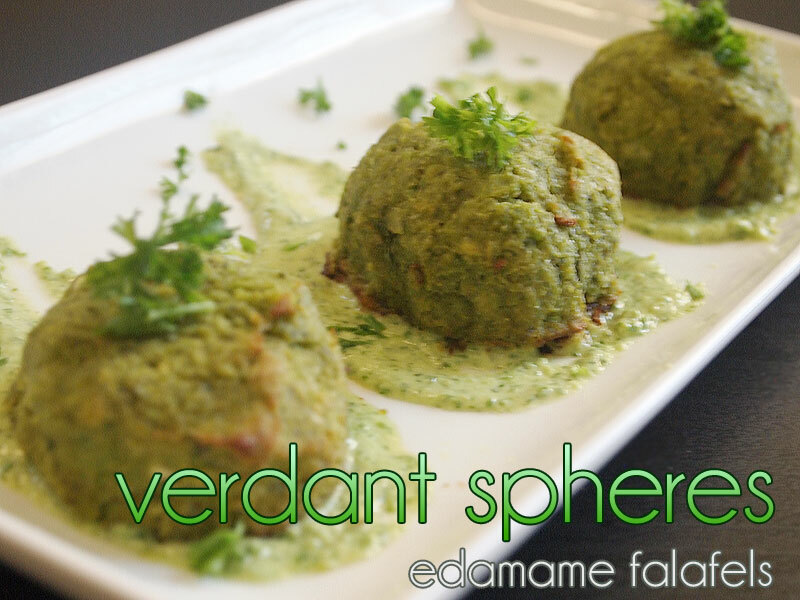 I’ve immortalized these iconic artifacts in food form: edamame falafels! 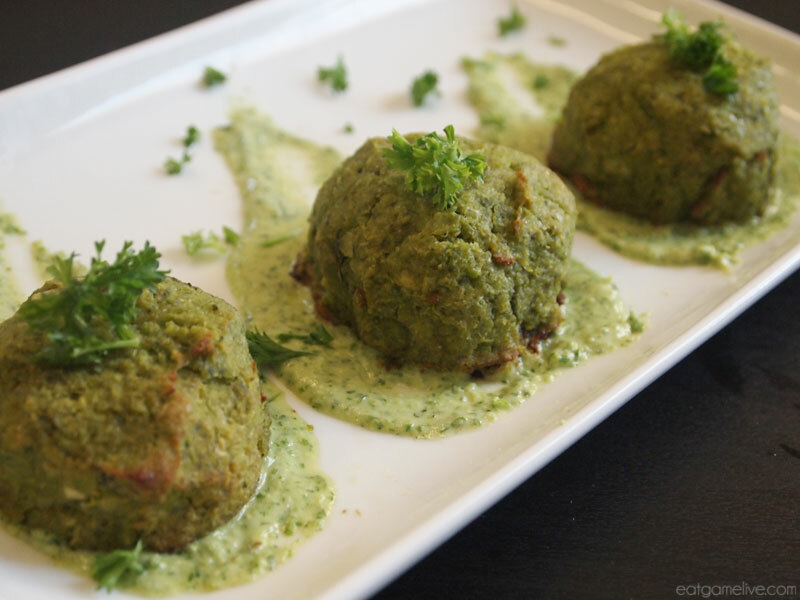 These falafels are packed full of nutrients which will surely keep you fueled during your quest for vengeance. 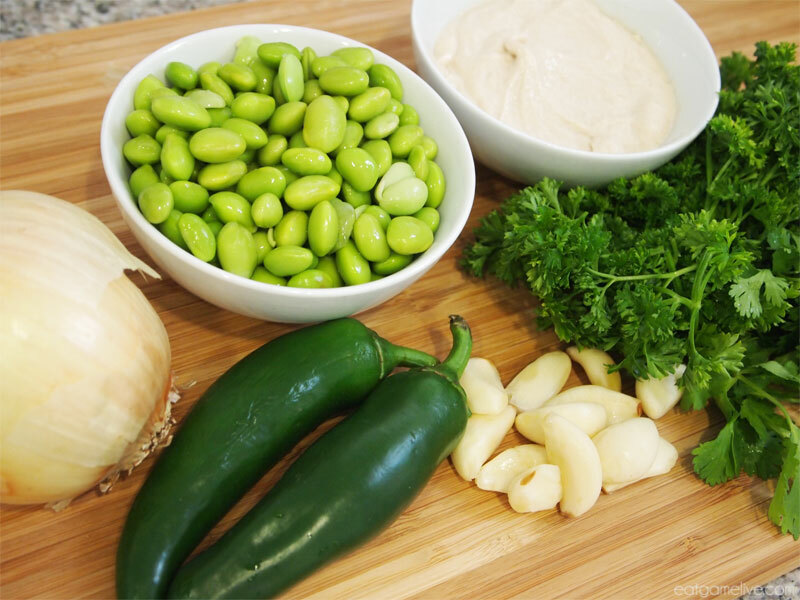 *To make homemade tahini sauce, combine: tahini paste, garlic, lemon juice, water and salt. Prep time for this recipe is roughly 15 minutes. Cook time is about 35 minutes. This makes about 3 servings (about 3 falafels each). 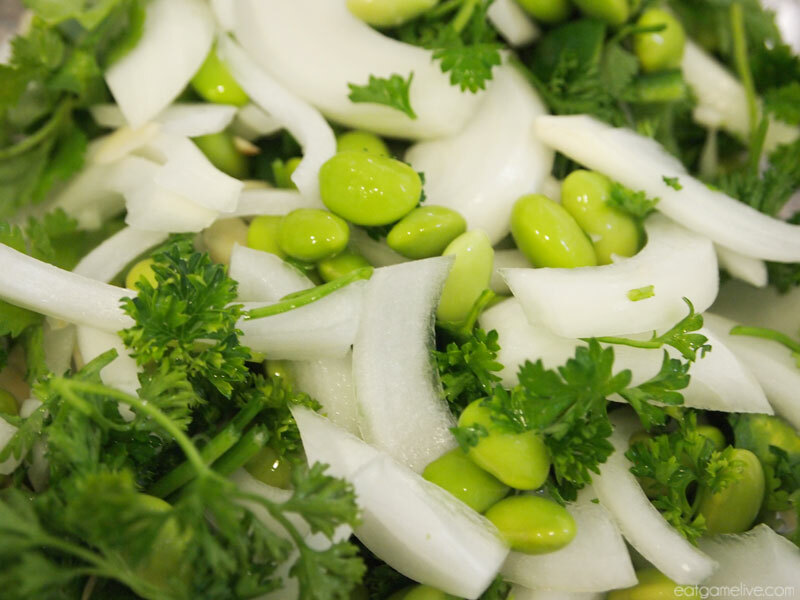 Put your onion, edamame, onion, cilantro, 1 jalapeño, and 1/4 cup of parsley in a food processor. Add in your salt, pepper, cumin, and coriander. Drizzle in 2 tablespoons of olive oil and pulse to combine. Continue until it forms a smooth paste. Set your oven to 375° F.
Line a pan or baking dish with parchment paper. 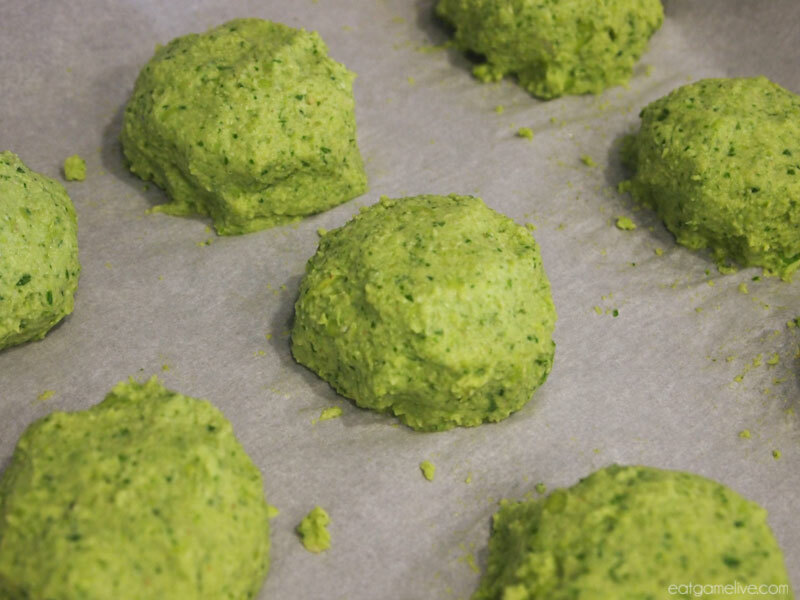 Using a spoon, scoop out golf ball sized balls of the falafel dough. Roughly shape them into a sphere and drop them onto the parchment paper. Use a butter knife to smooth out the balls. Bake for 35 minutes or crispy. In order to keep them green, I decided not to flip them. 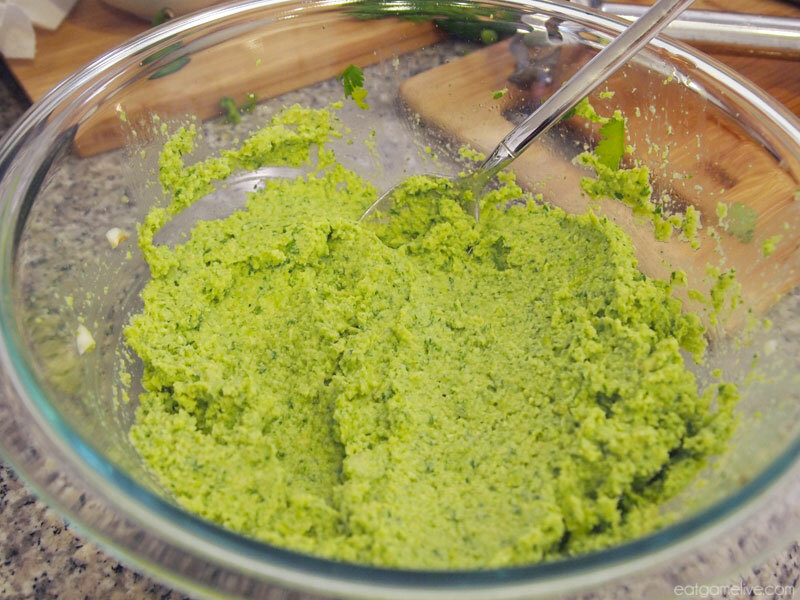 Place tahini sauce, jalapeño pepper, 1 tablespoon of olive oil and your remaining parsley in a food processor. Process until it’s a smooth paste. Dip a spoon in the sauce and place the back of the spoon against a plate. Drag the spoon up and lift carefully to create a smear affect (or the flame for the verdant spheres). Place one of the falafels on top of the sauce. OPTIONAL: Sprinkle parsley over the plate. This entry was posted in heroes of the storm, world of warcraft and tagged appetizers, blizzard, edamame, food, gamer food, gaming, healthy, healthy food, heroes of the storm, kael'thas, vegan, vegetarian, warlords of draenor, world of warcraft by admin. Bookmark the permalink.